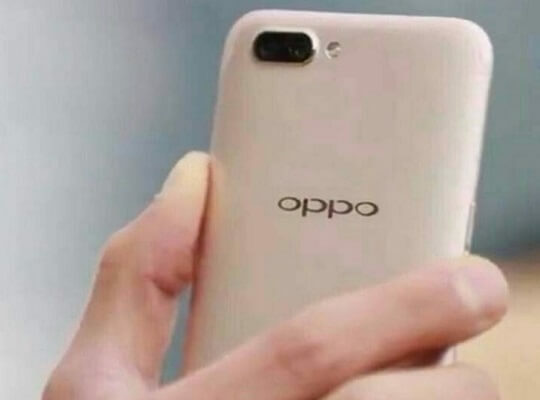 OPPO appears to be solidifying its position in the dual camera game, as a recent image of its upcoming R11 smartphone got leaked showing a dual camera setup on the back. A few days ago, we got a chance to take a look at most of the specs of the R11 through a GFXBench listing. In the same report, we've mentioned that OPPO's upcoming device might sport dual rear cameras, but no proof of it was present yet at the time. This time, though, a new image leak from Twitter shows the device being photographed for the first time. If the shot is indeed authentic, then we might see the R11 equipped with dual cameras, which will most likely be a combination of two 16-megapixel sensors. Other specs of the R11 that have already been revealed include a 5.5-inch Full HD display and a Snapdragon octa-core chipset with 4GB of RAM and 64GB of internal storage. To continue being on top of the selfie game, the R11 will also come with a 20-megapixel selfie camera. We have no word yet when the new OPPO R11 will be launched, but it will most likely be unveiled alongside the R11 Plus.